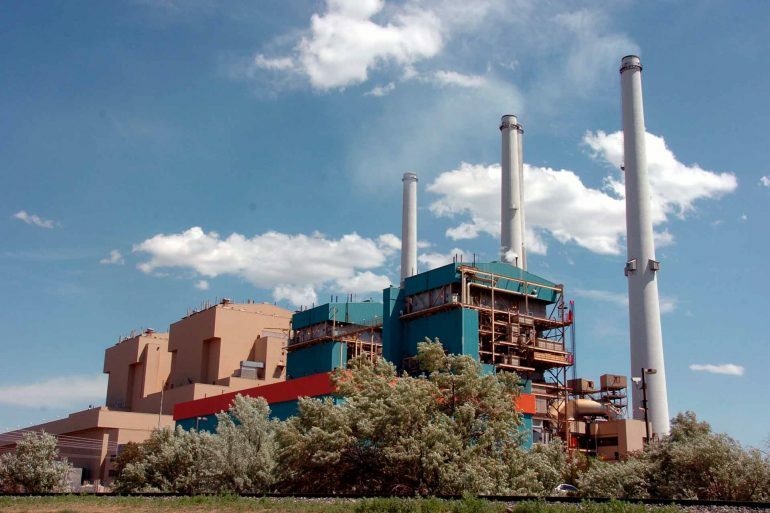 In July 2016, the owners of Units 1 and 2 of the coal-fired Colstrip Electric Generating Station in Rosebud County, Montana, agreed to shut those units down no later than July 2022. The agreement was reached as a settlement from a lawsuit alleging violations of the Clean Air Act brought by the Montana Environmental Information Center and the Sierra Club in 2013. While this agreement said nothing about the future of the two larger, newer generating units in operation at Colstrip since the 1980s, it underscored the seriousness of the challenges for coal-fired power plants in general – and Colstrip in particular – as they face a future of uncertain markets, technologies and policies. 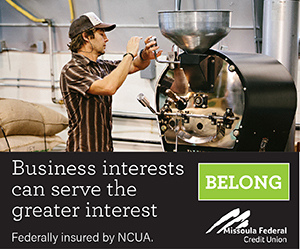 While that future might be in doubt, there is no doubt that the path of actions and policies that frame the future have economic implications that extend well beyond communities such as Colstrip – that is particularly true for a state like Montana. Not only has the significant export of electrical power to neighboring states supported jobs, incomes and tax revenue in our state since the mid-1980s, but the outsized tax contributions of the coal industry to the revenue base of state government gives communities a stake in outcomes affecting Colstrip. A Bureau of Business and Economic Research (BBER) study released in June 2018 examined the implications for the state economy of the early retirement of the Units 3 and 4 of the Colstrip Electric Generating Station. Early retirement is defined as a shutdown of the two units, which would complete the shutdown of the entire facility, earlier than their physical and economic viability would support. Such an action would be consistent with the goals of environmental groups such as the Sierra Club’s Beyond Coal campaign, which advocates the closure of all coal power plants nationwide by the year 2027. The closure of Units 1 and 2 by no later than 2022 effectively lowers the economic baseline by which any policy choices concerning the two larger, newer units of the facility will be measured. The increased output of renewable energy producers, particularly solar producers, on regional markets has depressed wholesale power prices during the midday period, making it more economical to ramp baseload generators like Colstrip up and down in response. Recent changes in federal regulatory policy – including the cancellation of the Environmental Protection Agency’s Clean Power Plan, limits on CO2 emissions from power generators and the talk of coal-fired generators as essential to national security – signal a change in direction in the regulatory climate at the national level. Closer to home in Montana, the policy environment for coal-fired electric generation remains difficult, at least from the point of view of producers. With the prodding of the legislative bodies in their home states, two of the six companies that are co-owners of Colstrip have filed documents that fully depreciate their shares in the facility by 2027 and have agreed to make payments to the Colstrip community to aid its transition from coal. With this in mind, it was appropriate to revisit how the early retirement of Units 3 and 4 would impact the economy in the years ahead. 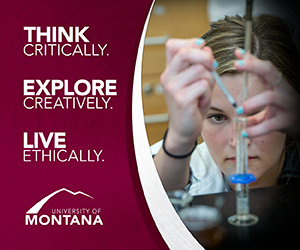 BBER’s analysis, which was sponsored by the Montana Chamber Foundation, considered two futures for the state economy. The baseline projection considered the economy with Units 3 and 4 continuing to operate out to the year 2043 – purchasing coal from the adjacent Westmorland Energy and serving the markets and customers as it has since its construction. The early retirement scenario considered the path of the economy if the two remaining units were shut down in year 2027. The difference in jobs, income, economic output and other economic activity measured between those two projections is the economic impact of early retirement. Closures. The jobs, production, vendor purchases and tax payments of the generating plant itself are lost in the early retirement scenario. The same is true for the adjacent coal mine, since that facility lacks access to transportation links to ship its product elsewhere. New investments and spending. The early closures at Colstrip would necessitate some new generation and/or transmission investments to replace lost capacity, generating construction activity and jobs. There would also be spending on remediation for the sites. Market impacts. A reduction baseload capacity of nearly 1,500 megawatts from regional energy markets could be expected to impact wholesale electricity prices, particularly for larger Montana customers who have purchased their power on the open market. To say there are plenty of moving parts in this scenario would not be an understatement. That itself is an important finding. Colstrip Units 3 and 4 have been part of Montana’s energy infrastructure since the early 1980s, and their removal from the grid leaves a void that is not easily filled. The scenario built up in the BBER study attempts to faithfully represent the scale and nature of these changes. But the actual events that could occur in an early retirement scenario will in all likelihood be different. Changes in technology, market conditions and economic growth virtually ensure that. As an example for replacement investment, the closure of Units 3 and 4 would represent a loss of 220 megawatts of capacity that is dedicated to Montana customers. What could replace this capacity? The study ultimately landed on one particular option – the construction of 220 megawatts of new natural gas-fired reciprocating internal combustion engine units, positioned in two or three different places in the state. With today’s technology and market conditions, this option most economically addresses the need for dispatchable, rampable, flexible power generation that the loss of Units 3 and 4 would create. Better energy storage technology, higher natural gas prices or changes in power demand could change this choice, in favor of renewables or something else. But the spending and employment included in this scenario serves as a useful depiction of the investment that needs to take place, even if the actual investment is in something else. As extensive as the changes described above, they are only part of the picture. As with any economic event, changes in employment, income, spending and other dollars present a stimulus to the economy to which workers, families, businesses and governments react. The study traced these reactions and compared the new resting point for economic activity in the wake of Colstrip’s early retirement to the baseline projection. Has on average almost 3,300 fewer jobs over a 16-year period (2028-43) following the closure, with average earnings of $79,000 for each lost job. Reduces the income received collectively by all Montana households by $325 million per year, adding up to $5.2 billion over the 16-year span. Experiences lower state tax and nontax revenue collections on the order of $80 million per year. Has a population loss of 7,080 people by year 2043, including almost 2,200 school-aged children. Sees reduced economic activity in every region of the state due to higher electricity prices, reduced inter-region trade and lower state government spending that would occur. Table 1. The economic impact of the early retirement of Colstrip units 3 and 4, summary. Source: Bureau of Business and Economic Research. How do the changes that directly affect roughly 800 jobs at the generating station and the adjacent mine contained in a few square miles of land in Rosebud County produce such outsized effects? One reason is the nature of the jobs and the production activities associated with coal-fired electricity generation. The jobs pay more than the average, reflecting the highly capitalized, high value-added nature of their work. Unlike many other businesses, the Colstrip facility spends an enormous portion of its budget on a made in Montana product, namely coal. And it exports most of that product to buyers in other states. A second factor amplifying the impact of Colstrip is the facility’s role in the electric power grid. While technology and competition – some of which is supported by subsidies – have changed its once exclusive use as a baseload generation resource, it remains an asset whose removal would require new investment that entails costs. A third factor is the outsized role of energy and natural resource activities on the revenue base of the state of Montana. In a state with no general sales tax, that by necessity relies more on property taxes (which largely go to local governments) and natural resource taxes, an industrial facility the size of Colstrip represents a sizable source of government support. BBER estimates that Montana’s special taxes on energy and natural resources make the tax impact of Colstrip’s early closure at least a third larger than they would be on a non-energy related business. The last factor to mention is the product produced by Colstrip – reliable, baseload electrical energy. Policies or actions that produce higher electricity prices are felt across nearly every productive sector of the economy. You can read the full BBER study here.